You can access your Elderton State Bank accounts at any time, day or night, to check balances, verify transactions, or generate transaction history reports. With this information at your fingertips, you can monitor and control your daily cash position and potentially reduce your borrowing. Funds may be transferred between any of your Elderton State Bank accounts (excluding some lines of credit) identified for Online Banking or accounts you may have at other financial institutions. Transfers may be set up as either one-time or recurring, and may be originated, edited, or deleted as needed. Automated Clearing House (ACH) Originations allow you to quickly and easily pay your employees electronically, with direct deposits into your employees’ bank accounts. ACH Origination also allows you, with your customers’ authorization, to electronically collect payments such as monthly dues, premiums, and other recurring payments. 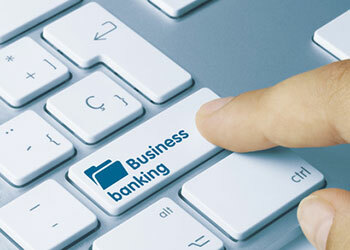 Please contact your business banking representative for more information about this product. Using Online Banking, you can download your company’s current statement of activity and reconcile accounts quickly and efficiently. Alert yourself when a certain check number clears, a balance reaches a specified amount, or a maturity date comes due by setting up automatic e-mail notifications which you can personalize. Enroll today by calling 724-354-2111, to review your accounts and online options that are right for your business.